The Nebraska Public Power District (NPPD) is calling on farmers all over to stay safe during this harvest season. 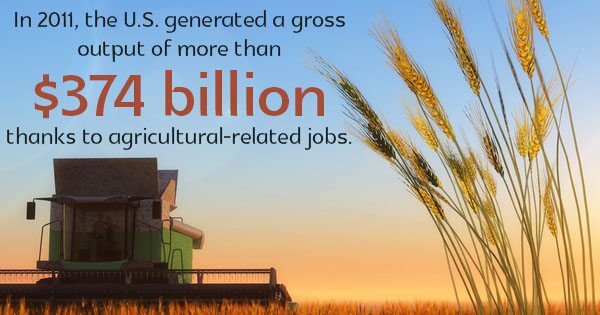 In 2011, the U.S. generated a gross output of more than $374 billion thanks to agricultural-related jobs, which employed more than 750,000 people. Harvest season, although one of the busiest times of the year for agricultural workers, can be one the most hazardous seasons as well. Irrigation equipment and agricultural equipment parts should always be handled properly and with caution during commercial building construction and agricultural work, but there are various other dangers that lurk on America’s farmland. According to KTIC, farmers are being urged to be aware and stay clear of overhead power lines and to know exactly what to do if any agricultural equipment accidentally comes in contact with power lines. It’s important to stay inside the equipment until professionals arrive to offer their assistance. If it’s absolutely necessary to exit the vehicle during a commercial building construction job after contact with power lines, you should jump as far as you can without touching the vehicle and ground at the same time. You shouldn’t step for fear of electrocution, and you should immediately start running to safety once you land with your feet close together. Plan — Farmers should review and plan out the entire day’s activities before any work is actually done. Doing this will help you identify any potential safety hazards rather than just stumbling across them as you go. You should always have an idea of which jobs are going to happen near power lines as well. Lower Agricultural Equipment — Some of these pieces of equipment can reach heights much higher than 20 feet. It’s important to lower all these augers, elevators, or other equipment to their lowest possible height so you limit the potential for danger. If you need assistance for any agricultural project and want to contact a successful commercial building construction company, visit Woofter Construction and Irrigation today!